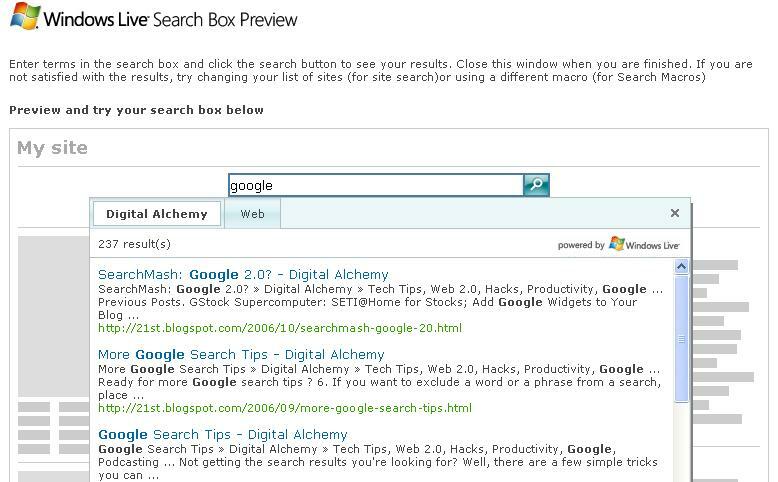 Following on Google's Custom Search Engine launch last week, Microsoft has announced that users can now add a Live Search box to their blogs or other sites. 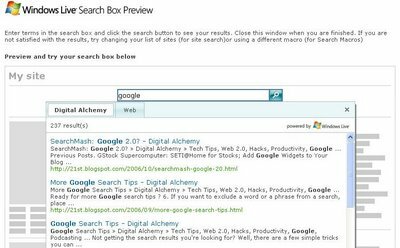 If you've already made a Search Macro, you can use that to determine what sites you want searched, or specify a list of 10 sites. After that, you're given a piece of HTML to stick onto your site. The neat thing about the Live Search box is that search results are placed in a floating DIV so users never leave your blog.